Gluten lovers of the world unite! Next month at Highland Park’s Maximiliano, five of Southern California’s most intriguing food and drink personalities are coming together for an Heirloom Grain and Brew Dinner. The five-course dinner will focus on Ukiah-based farmer Mai Nguyen’s ethnic grains, which she produces with drought-conscious techniques—like using only rainwater to irrigate crops—zero tilling, and animal power. 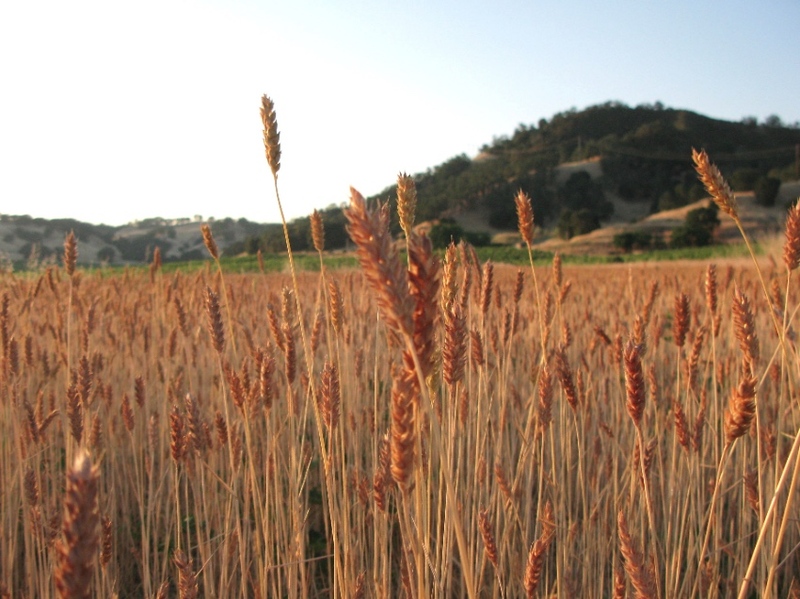 Her Sonora wheat, red fife, and rye will be showcased with dishes from Andre Guerrero. The beer was commissioned especially for the event from Craftsman Brewing’s Mark Jilg and Highland Park Brewing’s Bob Kunz, and the bread will be courtesy of Pagnol Boulanger’s Mark Stambler. The night starts with a bread tasting with Stambler and Nguyen, followed by dishes like a savory levain rye bread pudding with mushrooms and Bellwether Farm’s ricotta cheese (which Guerrero says is “amazing”), fife wheat bombolotti pasta with rabbit ragout and house-cured guanciale, and Muscovy duck served with creamy polenta and, most likely, a medley of root vegetables. Maximiliano pastry chef Jan Purdy will cap the meal with a phyllo-topped sesame cake made with honey, mead, and poached pears. Guerrero says he’s been working on the menu and experimenting with the ingredients for a few weeks now. Along the way, he even tried to create perfect Sonora wheat tortillas, like the ones he tried in Hermosillo while traveling through Sonora, Mexico a few years back. While that recipe won’t be ready in time for the dinner, it did lead to some crispy Sonora wheat crackers, which he’ll dress with house-smoked salmon tartar, grapefruit, and avocado as an amuse bouche. “I’m feeling comfortable with the menu,” says Guerrero, though he admits he’s still tinkering. He also dished on the beer for the night—Kunz is brewing a red fife beer while Jilg will be serving a rye brew. Heirloom Grain and Brew Dinner will take place at Maximiliano, 5930 York Blvd., (323) 739-6125, on Wednesday, December 16. Tickets ($65) can be purchased through Event Brite. Next articleFight Black Friday Blues with Kung Pao Chicken at E.P. & L.P.